If you think the A9 processor is fast, wait 'til you see the A10. The iPhone 6s is the fastest smartphone on the planet, but according to a new rumor, Apple is planning to make a huge leap with its A10 processor in the iPhone 7 that will turn the device into an unbelievable speed machine. 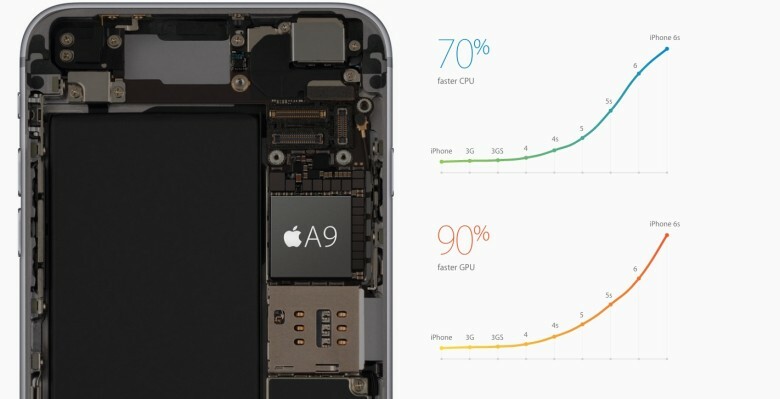 It seems a bit early to start talking about the iPhone 7’s processor when the 6s hasn’t even gone on sale yet, however, the Apple rumor mill has spit out a rumor claiming Apple’s A10 processor will boast 6 cores. The next generation A10 architecture will focus on development of multi-threading, reports one source close to Apple’s supply chain in China. The new chips will be manufactured at a 10nm or 14nm process, with Samsung and TSMC competing for the huge order Apple will place for the chips next year. Intel might also make a bid to manufacture the chips, which would be a first if they actually get the contract. Fans should still take the A10 6-core rumor with a grain of salt though according to Apple expert Ben Bajarin, who tweeted that it’s more likely that Apple would invest in GPU improvements, rather than tossing in 6 cores, which are needless. The source of the rumor posted his tip on the Chinese site Weibo today, and has given numerous correct leaks on next-gen chipsets in the past. GforGames points out that most of what their A9 scoops turned out to be true. A lot can change between now and the iPhone 7 unveiling in Fall 2016 though.